Hiking is one of the best ways to get away from the daily grind and unwind. Just being out in nature is a special relief. With some National Park free entrance days coming up (April 15-23), I'd like to share my favorite park, Palo Duro Canyon. Granted it's no surprise, considering it's the one nearest home--buy hey, it is the second biggest canyon in the US. And honestly...those views! It's no wonder so many western artists have found inspiration here. Last year I actually went on two hiking trips with my friend Veronica, first time also with my boyfriend, second time with her sister and two daughters. Let me tell you, keeping up with little girls--whoo! What a workout! Who needs crossfit? Just chase them up a steep incline. You'll never feel the same. But I'm actually, for this post, going to share my first trip. A lot of photos were taken from my iphone, and they turned out pretty spectacular. Many just take my breath away--and make me want to go back. Which it half the purpose, I think! These first two were taken from a lookout point a short way past the entrance. Back in Veronica's truck, heading for the trail. The first thing we ended up heading to--the cave! I can't help myself. Flowers!! Reminds me of a bluebonnet, but I'm not sure if they sometimes come in this color...the leaves look the same though. Inside the cave of wonders! Taken up high, once we hiked around and got to the top portion of the cave. Looking down to where we were. Where we came from. The lighting was really awesome, and peaceful. I so wanted to just get out a book and relax. Would have been beautiful. This really was an awesome day. I'm going to share the other half of the hike later. There's just so many things to cover! I'm hoping we can go back soon, if our schedules allow. We are way overdue for another hike! Also, in honor of National Parks 100th anniversary, Cotopaxi, an outdoor wear company with products that include backpacks and jackets, wanted to share the love of the outdoors and giving back. I'd randomly heard of Cotopaxi before but was inspired to learn more for myself. I was very touched by the level of outreach they have. They work with other outreach organizations to team up with local communities to further grow local economies, education, and provide health care. More companies need to reach out like this. It's truly wonderful. 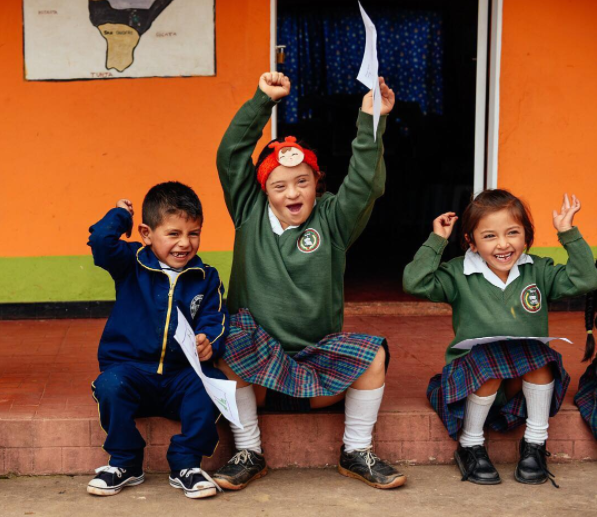 These children cheer because of how children with disabilities are being included in the classroom. 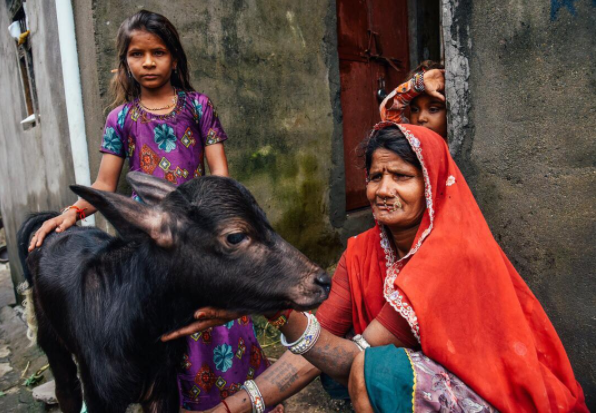 In Rajasthan a lot of girls end up staying home to tend the family animal (and subsequently their income) while the boys go to school. This is slowly changing. I hope I can accomplish that level of outreach in the future. Cotopaxi also has a pretty cool graphic pointing out popular parks and hidden gems-- and it also reminded me that hey, I still haven't seen the Guadalupe Mountains yet. For shame.